The banner is up outside the venue! 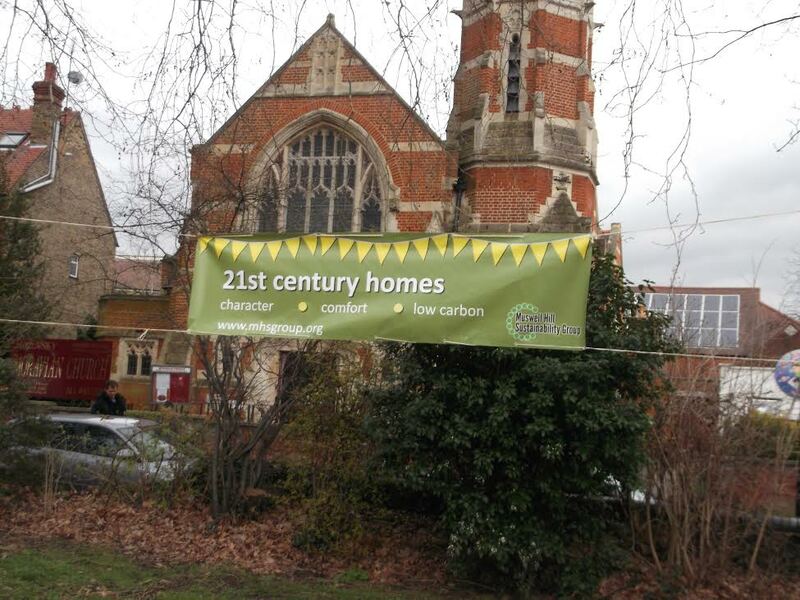 Counting down to the weekend of 15/16 March when we are running another 21st Century Homes – Character Comfort Low Carbon event, this time at the Moravian Church in Hornsey. The idea of this event is to provide practical help and inspirational stories for people looking to improve their homes. Originally devised by our friends in the Highgate Society Sustainable Homes Group, there have now been two successful 21st Century Homes events in Highgate and Muswell Hill attracting over 300 local visitors. On Saturday 15th March, there will be a Conference and Exhibition at the Hornsey Moravian Church on Priory Road N8, with expert speakers and local architects, builders and eco-refurbishment specialists. On Sunday 16th, several ‘green’ homes in the Hornsey and Crouch End areas will be opening their doors so you can see what the neighbours have done!